Please click here, to fill out and submit a form about your group. You should hear back from one our coordinators within 48 hours. If you don't hear back in that time, or if you have any other questions, please email challengecourse@unm.edu or call (505) 264-1265. 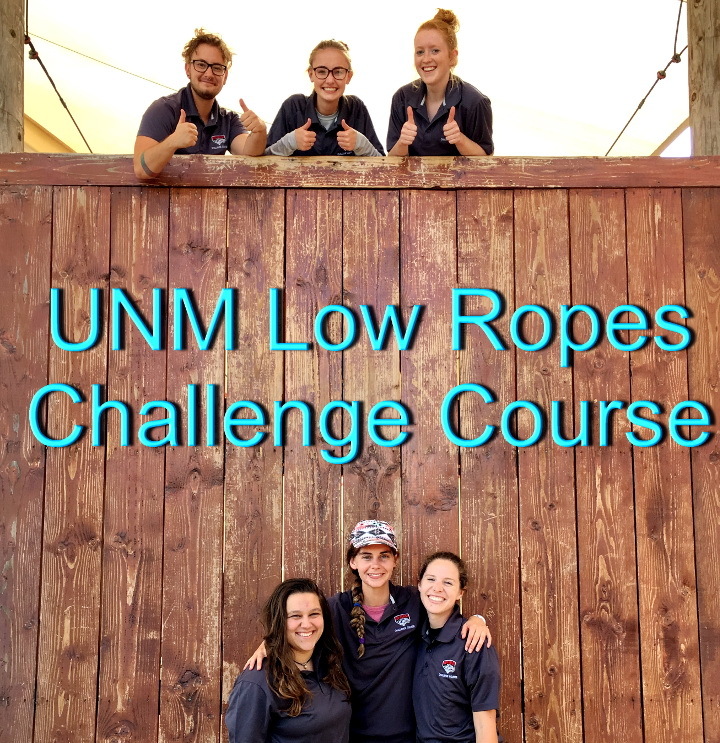 The UNM LRCC offers the opportunity for personalized group development, skill acquisition, and team building. 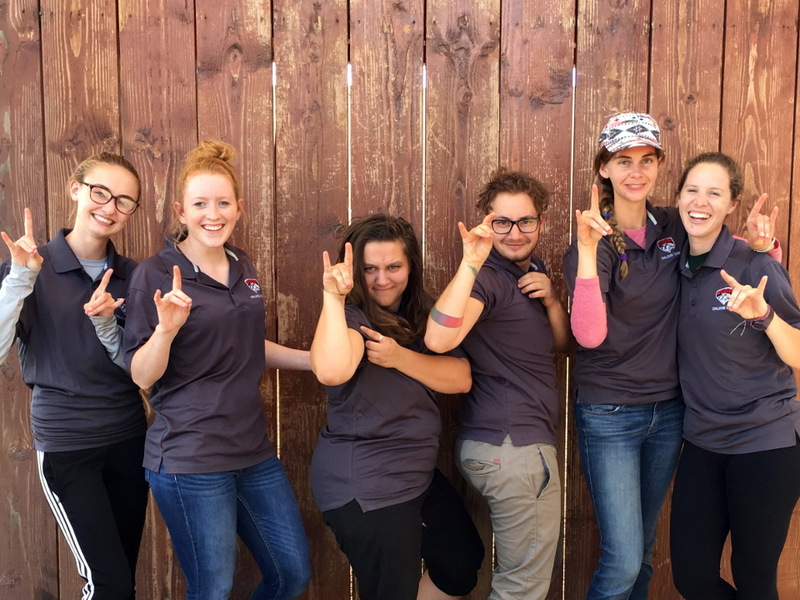 We're a small organization, and Fridays and weekends tend to be the most available, but we're happy to work with you to find a time and date that suits your group! Includes skill development through “grass activities” and then practice of these skills on several low ropes course elements such as the famous Whale Watch, Wild Woozey, our 14’ Team Wall, and more. This option allows us to bring group development to the location that best suites you. Whether your group is coming together for the first time or has been together for years we can customize a program to meet your needs. The mission of the Low Ropes Challenge Course is to provide group development activities to students, staff, and the community by offering unique challenges through the use of the low ropes course elements and other cooperative activities. 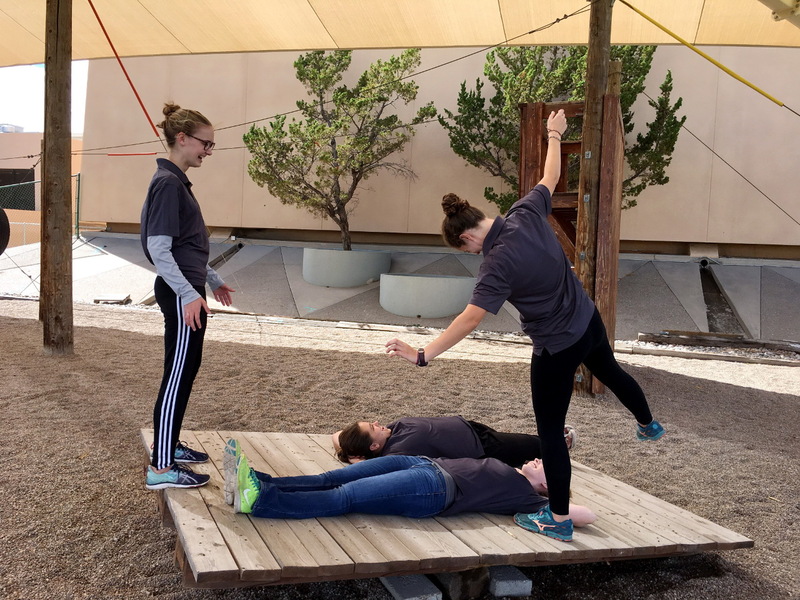 The Low Ropes Challenge Course is committed to excellence by offering services that are safe, fun, and facilitated by a passionate and energetic staff.